LINECHEK®, model 510L, is a stand alone Line Leakage tester that is designed to automate Line Leakage testing in a production environment. The 510L will perform eight of the most commonly specified Line Leakage tests and includes the five most common measuring devices built-in. 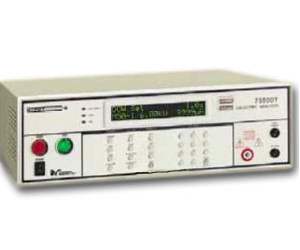 It can be used as a bench top instrument or in tandem with our Autoware®, control software. The 510L will automatically perform these Line Leakage tests automatically without the operator having to manually configure the test.